I’m not a fan of most all-inclusive resorts. Sometimes they make me feel like a sheep being herded from one buffet line to another. I want to feel special. I want to be treated as an individual, not as a number. 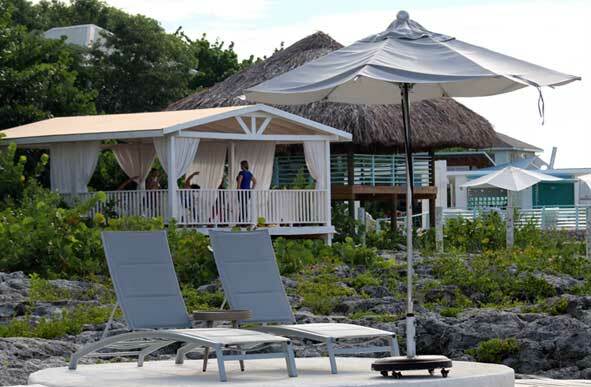 Treating you special is how The Cliff Hotel, a luxury island resort located in Negril, Jamaica, wants you to feel as a guest. With just 33 well-appointed suites and villas, your personalized holiday experience begins the moment you enter the lobby. Imagine, a wristband-free vacation! Originally built in 2008, the Cliff Hotel finished an extensive multi-million dollar renovation in October 2016 and added many guest facilities including a new yoga pavilion and spa. Space is not an issue here. 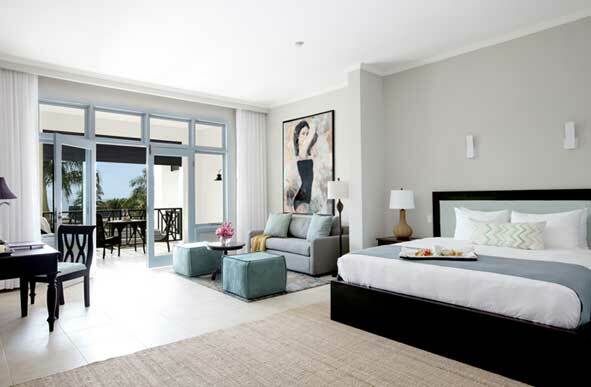 The spacious suites and villas with high ceilings combine elements of dark wood furniture and canopy beds, while adding distinct Jamaican design and turquoise, blue, white and grey hues. 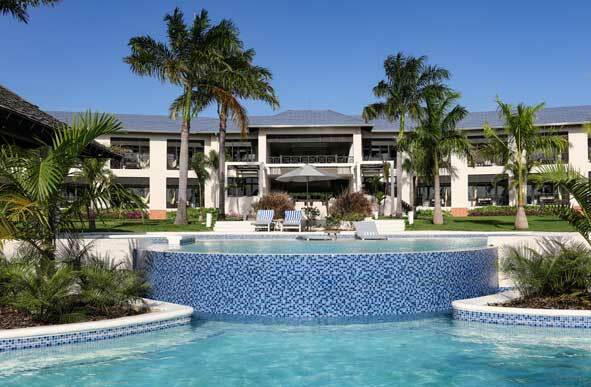 The property’s restaurants, bars, paths and pool areas sit on five acres of lush island paradise overlooking the Negril Cliffs and all rooms overlook the Caribbean Sea. 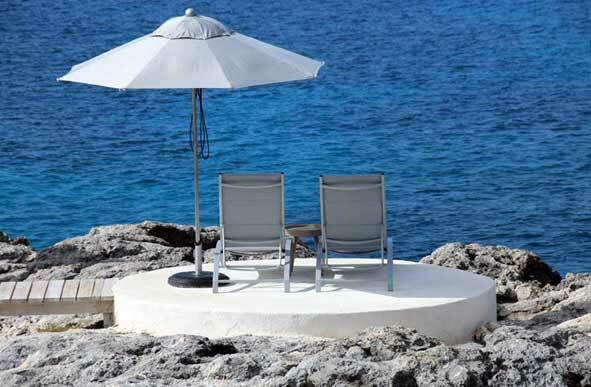 The hotel’s natural saltwater pool is built within the cliffs. The main pool with a swim-up bar is surrounded by a series of lounging pods that make you feel as if you’re on your very own private island. My knotted body benefits from trying out some yoga positions at the new yoga pavilion. Take a class as the sun rises or sets. No cobra or lotus positions required if you just want to check out the meditation classes. 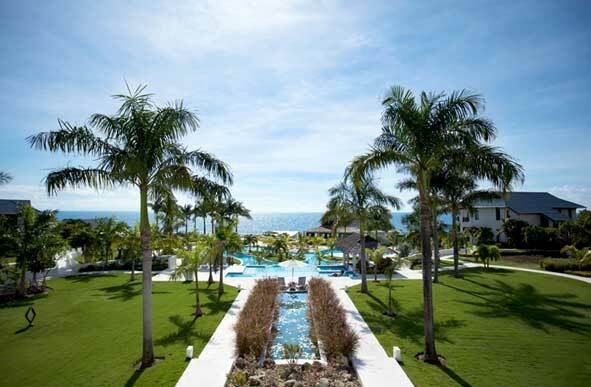 Breathe in the invigorating fresh air coming off the Caribbean Sea and breathe out your newfound wellness. On holidays my appetite usually knows no bounds and it is rewarded at the Cliff Hotel with their tantalizing Cuisine of the Sun menu blending world cuisines with Jamaican spices and influences, but with a twist—a healthy twist. Poolside or tableside, try the signature Cliff Hanger cocktail to refresh the senses. Peering out to the Caribbean’s turquoise water and feeling the healing hands of the resort’s KiYara Spa therapist kneading my body back to health, my sense of wellness and feeling special is complete.